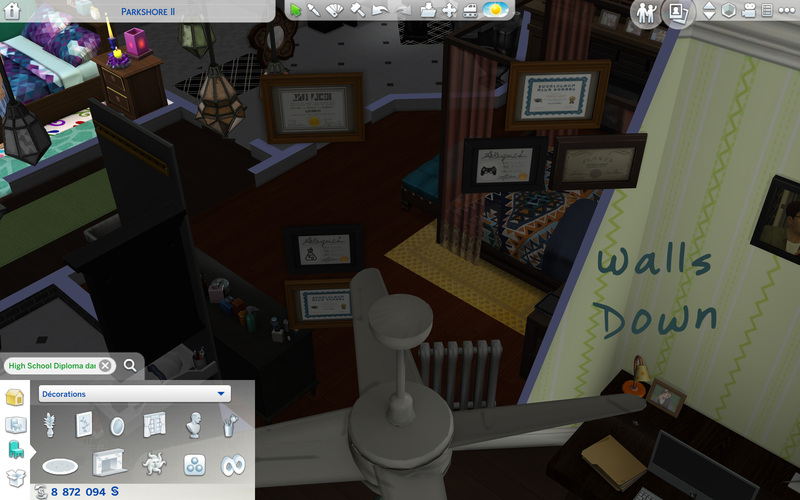 They say that necessity is the mother invention and that pretty much describes how I got into modding - and why I made my latest creation. 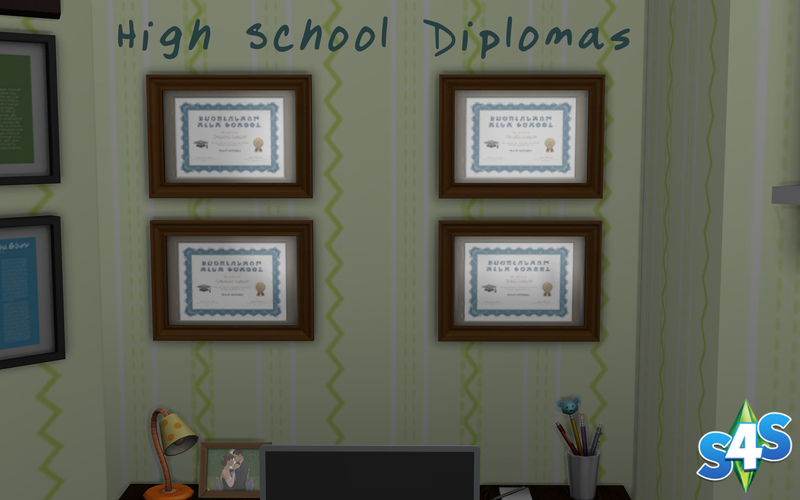 I always thought it was stupid that EA has college diplomas (and NO University), but there's a rabbit hole high school (unless you have Zerbu's amazing Go To School mod) and NO diploma. So I made one...er...four. 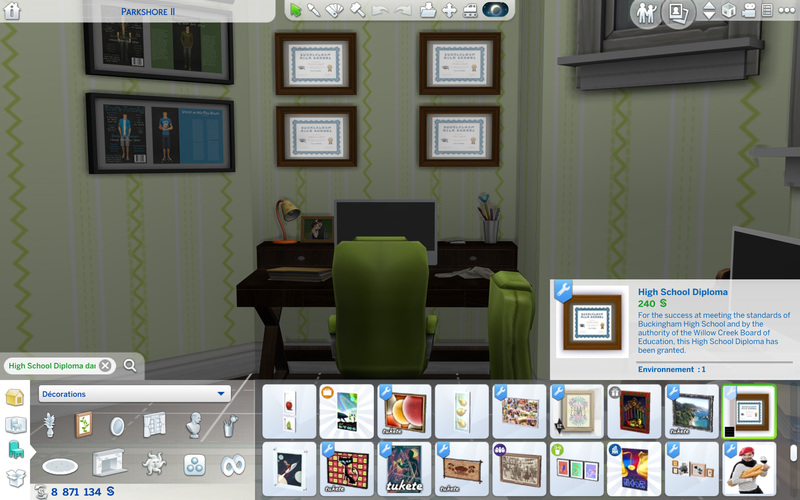 These began as personalized CC for my game and my main Sims. Cloned from the Medical Degree Reward object, so this one requires Get To Work to show up in your game. When the walls go down, this object stays up. Made and compressed on a Mac, so there may be .DS_STORE or __MACOSX files in the .zip. If you use Windows, please just delete those. Apple Pages - Diploma layout and the cap and official seal images. To all of the CC creators whose CC appears in my pics, but is not used in the creation of the object itself. AABHSDiplomas.zip | Description: Updated for 1.51.75. Delete the old version before placing this one into your Mods folder. Check out my Framed Men's Health Article!! !